The 2018 edition of the Menstrual Hygiene Day was celebrated in Debundscha, South West Region of Cameroon under the theme “Empowering Women and Girls with Good Menstrual Hygiene”.In partnership with the Cameroon Development Corporation (CDC), a Limbe based development organization known as Girls Excel organized the event that held in Debundcha, Southwest Region on May 26, 2018. 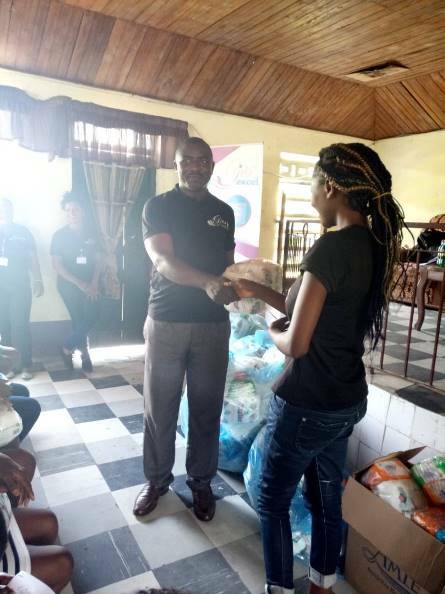 The Manager of Debundscha Palms Estate, Ndive Hans opened the ceremony by expressing gratitude to the leader of Girls Excel, Ms Delphine Konda and her team for choosing his town to organize such as an event. Ms Delphine Konda started by thanking the CDC for hosting her organization. She explained that, “our vision is to engage and support girls and women in local communities and schools in Cameroon, to access sexual and reproductive health education and access sanitary pads”. Then followed an elaborate presentation on the importance of menstrual hygiene management on the education, health, and the overall self-esteem of girls and women. 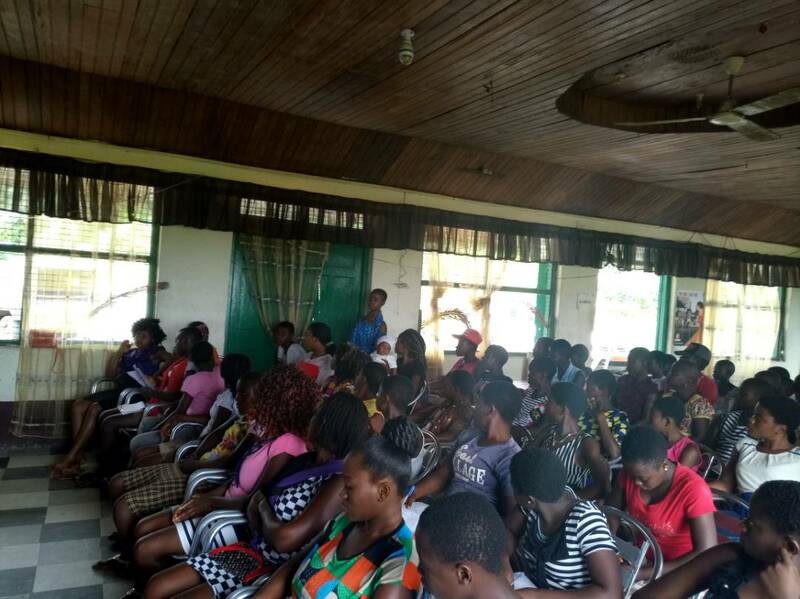 During the question and answer session coordinated by a nurse from the C.D.C health post in Debundscha, the young girls asked questions such as: why some girls menstruate twice in a month? Does the absence of menstruation mean pregnancy? Can menstrual cramps be transferred from one girl to another? etc.These and others were promptly answered by the health personnel. The event ended with the distribution of two hundred packets of sanitary pads to the over 60 girls present. The visibly satisfied girls appreciated the initiative and were eager to know when the next sessions will take place. At the end of the ceremony, the Communication and Public Relations Manager for the CDC, Manyanye Ikome highlighted the fact that, “being a responsible corporation, the CDC is very concerned about the health and welfare of her workers and dependents”. He added that, “the Corporation will remain indebted to Girls Excel for this kind gesture”. It should be recalled that, the Menstrual Hygiene Day was initiated by a German Non-Governmental Organization known as WASH United. It is a platform for dialogue with decision-makers to accelerate action for Menstrual Hygiene Management (MHM).